Behold, my friends, my list of Mastodon albums, ranked in order from great to Herculean. While these lists are entertaining to make and discuss, they also present their own unique challenges. In order to create this list I had to come up with some sort of criteria to organize my thoughts. As you peruse the list, keep in mind these two thoughts, as I did, to understand their placement: 1) Which albums do I simply listen to the most, and 2) which albums showcase their talents to their maximum potential? Both completely subjective and possibly batshit crazy, but it’s my list and we will start the conversation from here. And what good is a ranking like this unless you have someone to argue it with? My good friend and fellow Metal Nation contributor Chris does just that after each of my selections! Before we get to the actual rankings, I’d like to acknowledge a few releases that will not be appearing on this list. Long-time Mastodon fans will no doubt notice that the band’s true debut, Lifesblood, does not appear on this list. Released less than a year before the band’s full-length debut Remission, Lifesblood is a 5 track EP consisting of the band’s earliest studio output and is notable for featuring very short songs (the longest track just barely clears the 4 minute mark) compared to the rest of Mastodon’s output. 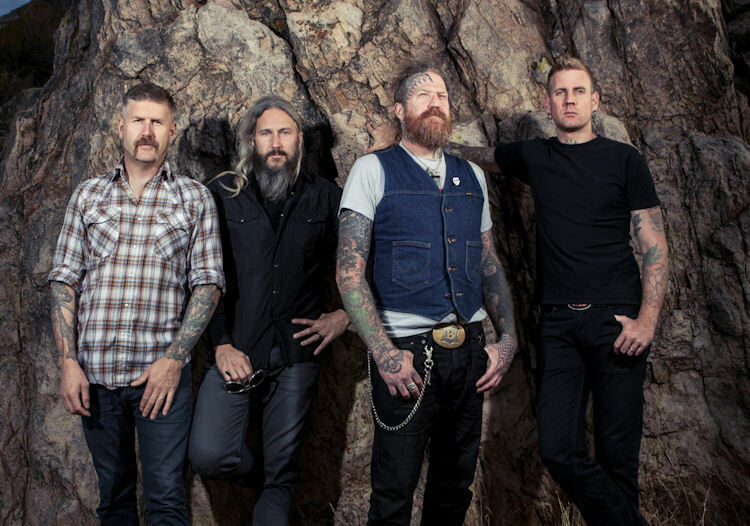 Likewise, the material Mastodon recorded for the score of the 2010 film Jonah Hex will not appear as a part of this ranking either, nor will the March of the Fire Ants EP (2003) or Oblivion EP (2008)–though the latter two are notable in that they feature covers of songs by artists who no doubt influenced the band by way of “Emerald” (Thin Lizzy) and “The Bit” (Melvins), respectively. Lastly, the band’s most recent EP entitled Cold Dark Place, which was released in September of 2017 and consists of material recorded during the Once More ‘Round the Sun and Emperor of Sand sessions, will not be included either. Of all the band’s non-major studio releases Cold Dark Place is perhaps the most capable as standing on its own but, for the sake of clarity, only major studio releases will appear in our definitive ranking.